Published by Genossenschaft Psychosophia, Switzerland in 1954 e.v.- printed in black ink on thick paper measuring 340 x 250 mm. 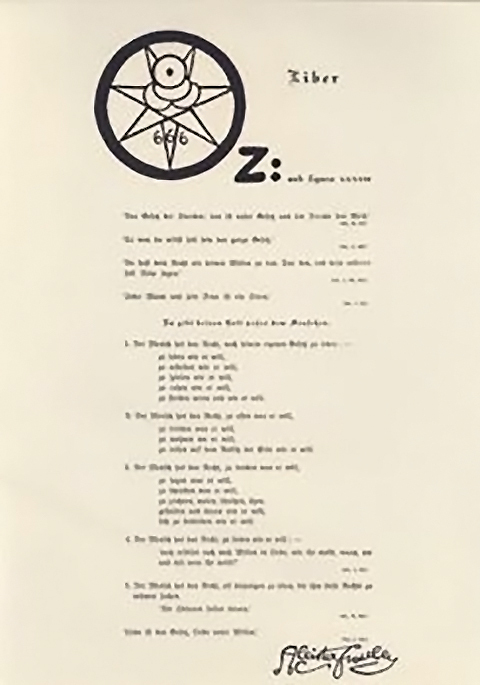 This was the first edition of Liber OZ published following Crowley’s death in 1947. Issued in German by Hermann Metzger (aka Frater Paragranus) shortly after being admitted into the O.T.O. by Karl Germer. Metzger, who was in charge of a Swiss branch of the O.T.O at the time of this publication would later claim to be the Outer Head of the Order but his claim was unsubstantiated. He none the less went on to publish several early editions of Crowley’s work and just a few months later, again published Liber OZ in the journal “Ex Occidente Lux” (no.3) in June of 1955 – making it the first publication to include a copy of OZ since Crowley’s passing. 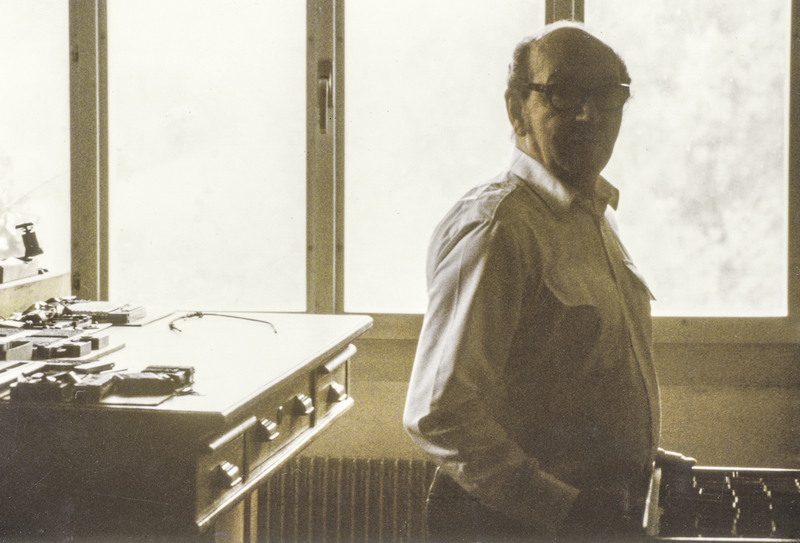 Metzger at home in his kitchen circa late 1970’s e.v. Liber LXXVII – Liber Oz. Die Charta der Menschenrechte. Ohne Verlag, o.O., u. o.J. [(Verlag) Genossenschaft Psychosophia, Schweiz um 1954]. 1 Bl. auf Roma-Bütten. [Limitierte Auflage] Einseitig bedruckt. Format: 340 x 250 mm. Erstmals veröffentlicht vom O.T.O., London und Californien.